The need to replace hard chrome coatings has been surging in the thermal spray industry ever since news broke out that the US OSHA and the EU REACH will be restricting the coating owing to hexavalent chromium salts which are highly toxic. Research has indicated hex chrome as a severe carcinogen. Hex chrome producing industries are now subject to terse environmental regulations and the restrictions are slated to intensify further in the future. Several coatings have been suggested as replacements for the outdated hard chrome coatings. A&A Coatings has been one of the first proponents of alternatives for hard chrome plating. The hard chrome plating has been in industrial application since several decades. Its significance has been all the more hyped owing to its widespread application in defense equipment maintenance. Replacements for hard chrome plating developed by A&A Coatings have been custom engineered in our labs. Many of these coatings have been made absolutely free from hex chrome. The coating methods that employ chrome have been developed in strictly occupationally safe and environmentally friendly manner. These coatings bear strict conformity with the regulations concerning hex chrome. 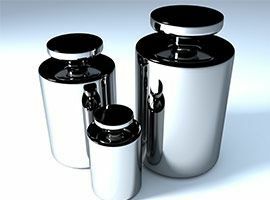 One of the best aspects of using the hard chrome replacement coatings developed by A&A Coatings is that the coatings are especially instrumental for complex shapes and internal surfaces of containers. The thickness of alternative coatings ranges between 50 and 100 microns. The hardness can be custom engineered between 800 and 1200Hv. This makes the alternative coatings standard replacements of hard chromes. The switch from hard chrome to A&A Coatings is also simple since there is no change in dimensions, curtailing the need for a re-design. In several key competencies like protection from corrosion, chemicals and other aggressive media, the alternative coatings surpass hard chrome plating. Replacement coatings for hard chrome can be used on variety of parts including the avenue where HCP was most extensively used – landing gear for aircrafts. The hard chrome electroplated coatings had been used since several decades and the hydraulic landing gear can benefit from the replacement coatings. The hard chrome replacement coatings are equally implemental in coating gas turbines. Almost every part of a gas turbine has some form of abrasion resistive coating. HvOF coatings function best in the hot sections of the gas turbine, where the temperatures might rise exponentially. Pulp &Paper and Oil & Petrochemical industries are other avenues where hard chrome replacement coatings find extensive use. A&A Coatings has been a frontrunner in the hard chrome replacement field and we bring decades of our expertise into creating hard chrome replacement coatings. Call us today to order hard chrome replacement coatings.